The Syrian Arab Army announced renewed operations in eastern Aleppo on September 22nd. Hezbollah announced their participation shortly after the SAA General Command. The operations are reportedly coordinated with Russian military advisers deployed in the area. The Syrian Air Force has delivered up to 45 air strikes on militant targets in the Aleppo neighborhoods of Sakhour, Hanano, Al-Sukkari, Bab Al-Maqam, and Bustan Al-Qasr. 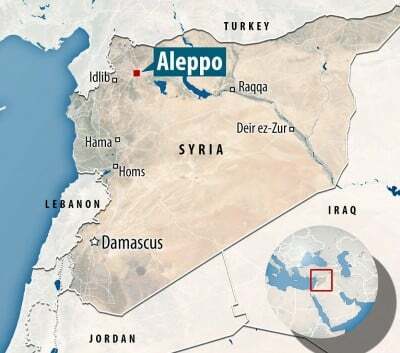 Meanwhile, the Syrian Observatory for Human Rights (SOHR) reported that some 3,000 Russian soldiers have been deployed at a base in the south-eastern suburbs of the village of Al-Safir, citing an unknown ‘reliable source’. There is no confirmation of this information, except the ‘reliable source’. Russian troops are officially deployed only in the north-west of Aleppo at the Castello Highway. Last night in the province of Homs, Ahrar al-Sham managed to overrun the checkpoint at Shukarah, manned by the SAA and the National Defense Forces, thanks to the help of an armored contingent. This move was aimed to cut off the strategic Homs-Salamiyah highway. However, the government forces recaptured the positions lost in Shukarah. 40 fighters of the Islamic State were killed in 20 airstrikes by the Turkish Airforce that had intensified air strikes against the group amid setbacks of the Ankara-led forces in northern Syria.